Don't get left in the dark about the new light bulb regulations. Enlighten yourself on the new energy-saving light bulbs—and the dimmers that support them. Up until recently, buying a light bulb was probably as routine for most people as buying a carton of milk. 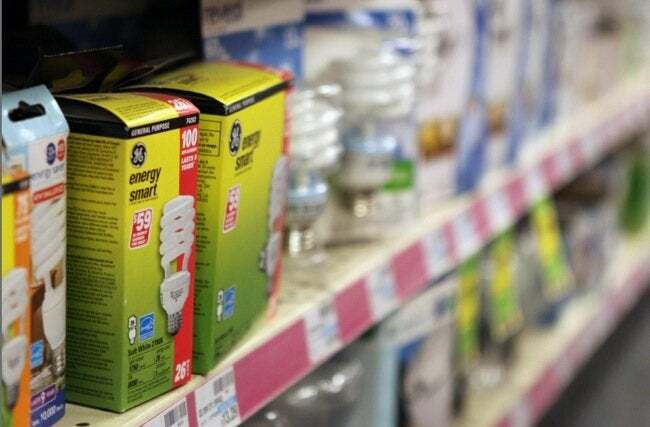 But new light bulb regulations that took effect January 1, 2014, aimed at reducing the gluttonous energy consumption of the general service incandescent bulb, have made energy-saving alternatives like compact fluorescent (CFL) and light-emitting diode (LED) lamps top of mind for many. Here’s what you need to know about the new energy-efficient bulbs and the dimmers that support them. For decades, we have been buying light bulbs based on how much energy they consume (watts), rather than how much light they emit (lumens). To help consumers better understand the switch from watts to lumens, the Federal Trade Commission now requires product labels to include both. To replace a 100-watt incandescent bulb, look for one that gives you about 1600 lumens. For a 60-watt bulb, you’ll want 800 lumens. Learn more by checking out Lumens and the Lighting Facts Label at Energy.gov. Unlike earlier versions of these lamps, which emitted a fluorescent glow, the new varieties offer both the same amount and quality of illumination as the standard incandescent, but they use 75 percent less energy. CFLs are available in a wide range of wattages, from 5 to 68 (equivalent to today’s 25 to 100 watts). They come in three color temperatures—soft white, bright white, and daylight—and last approximately 10 times longer than current incandescent bulbs. LED bulbs, which employ semiconductor technology to provide illumination, use 85 percent less energy than incandescents and 50 percent less than CFLs to produce the same amount of light, making them the highest lumens per watt in their class. LEDs offer precise color quality and come in a range of color temperatures from soft ambient to daylight. They are pricier than CFLs, but given their long life (25 times that of standard bulbs) and energy savings, LEDs may well be worth the initial outlay. While early versions of CFLs and LEDs were nondimmable, that too has changed. Lutron, the leader in dimming technology, now provides a variety of innovative options for reducing the light output for the new generation of energy-saving bulbs. With compatible switches for CFL and LED lamps, you can easily control light levels to create the right ambience for any room in your house. And, because dimming uses less energy, there’s additional savings to be had in lower utility costs as well. For a bulb to be dimmable, it needs to be compatible with a dimmer. Lutron C·L® Dimmers were designed specifically for dimmable LEDs and CFLs, so be sure to look for bulbs that say “dimmable” on their packaging. (These dimmers are also fully functional with the newly regulated incandescent, should you continue to favor those bulbs.) With standard features that include a main switch and a dimming slide, models like Diva, Skylark Contour, Toggler, and Luméa are smart choices. The company also offers more-advanced models such as Maestro Wireless technology, which allows you to control lighting levels with any combination of up to 10 dimmers, switches, sensors, and wireless controls—all with the touch of a button. 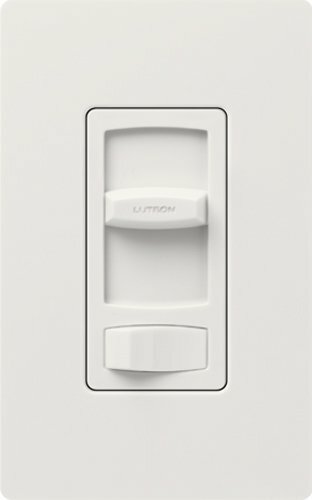 Lutron C-L® Dimmers are available in a variety of colors and styles from your local home center, lighting showroom, or your electrical distributor. For more information, visit www.YouCanDim.com. This post has been brought to you by Lutron. Its facts and opinions are those of BobVila.com.